The Day when Coldness Brought Warmth | What an Amazing World! 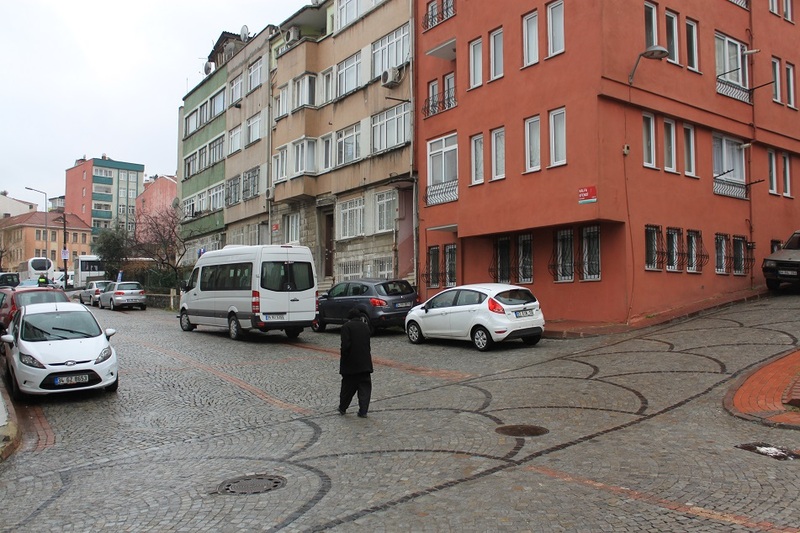 In the midst of the freezing winter wind we walk down a quiet neighborhood of Fatih, a complete opposite of the tourist-overrun district of Sultanahmet. My hands are numb and for the first time in Istanbul I regret for not bringing the gloves. 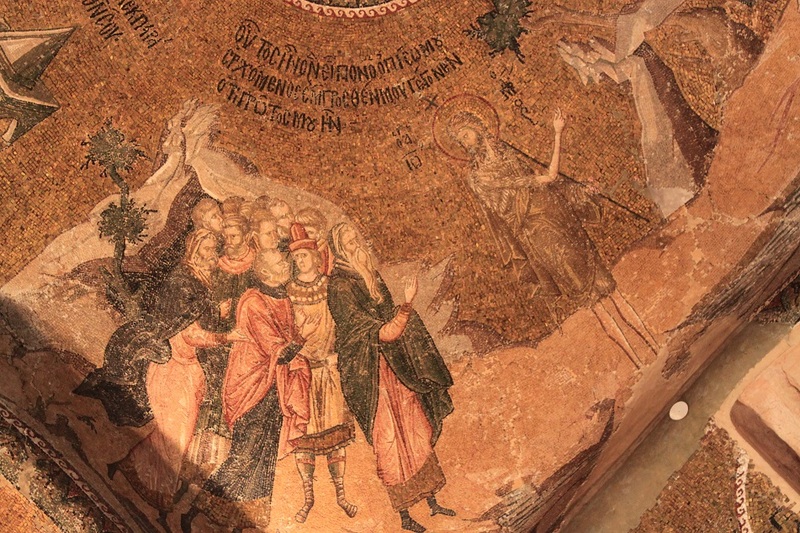 We follow our instincts to reach the Chora Church – a former Byzantine church now turned into a museum – which is one of the main reasons for visitors to come to this less posh corner of Istanbul. Deserted cobblestone walkways lead us to one intersection, a small kebab house on the left and a modest yet inviting bakery on the right. A few local residents pass by us and rush their ways, probably in search for warmth. But that is not the reason why we stop. 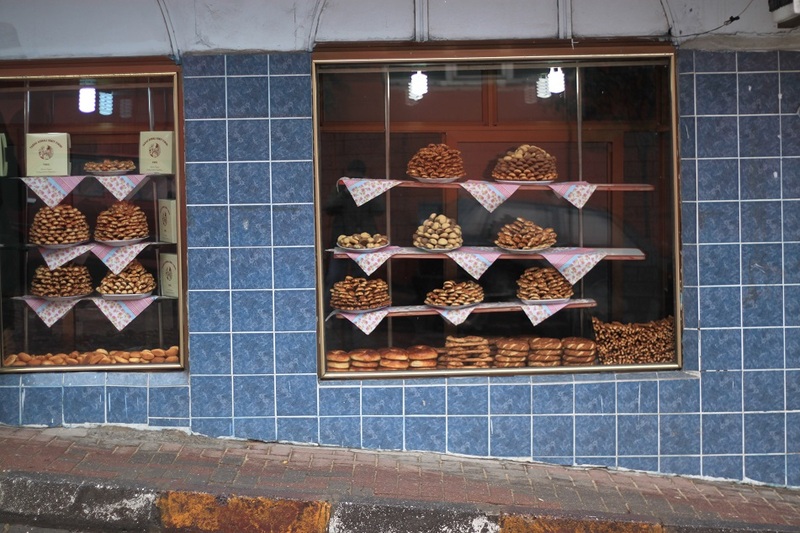 Stacks of pastries displayed behind the glass window seem to be too tempting to miss. An old man shows up from the back of the shop, grinning as if he has been expecting us. Trying to communicate to him with my very limited Turkish, I ended up using my fingers and Turkish words for numbers to make him understand which pastry I want. But as is the case with my other travels in foreign countries, the true means of communication is not the language itself, but the smile and excitement of interacting with foreign people which resonate with the heart of the locals. Sweet and savory pastries freshly baked from the nearby traditional oven turn out not only tickle my palate, but also a perfect antidote for the biting coldness outside. However we know we are only a few walks away from the church, so we bid farewell to the warmhearted old man still with his big grin. Walking a little uphill from the bakery, we spot the unmistakably architectural features of a Byzantine church at the end of the street. 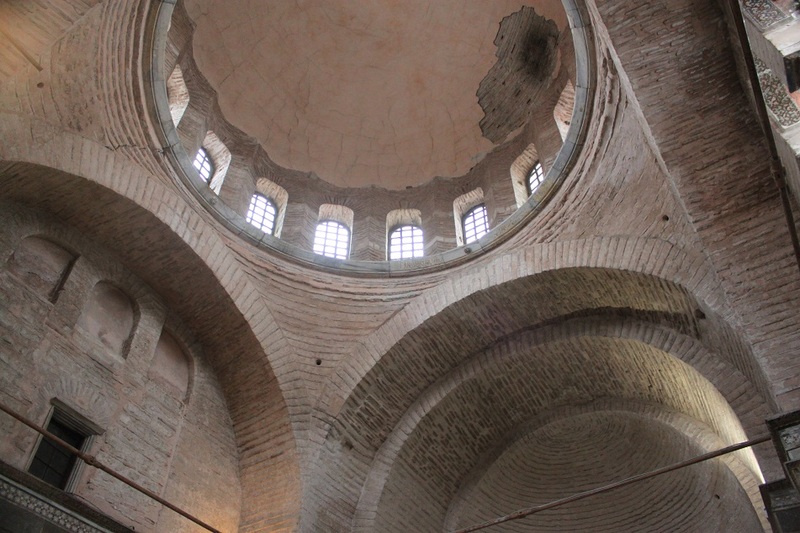 Grayish dome on top of thick walls made of bricks, supported by flying buttresses jutting outside the structure – some features that remind me of the magnificent Hagia Sophia – conceal the true jewel inside. Meanwhile, two minarets awkwardly stand out at the corners of the church, a reminder of centuries of Ottoman rule in the country. Walking through the gate to the narthex, a strangely comforting chill ambiance bursts from within the corridors, thanks to the marble and granite walls under the ornate ceilings covered in elaborate mosaics and frescoes. 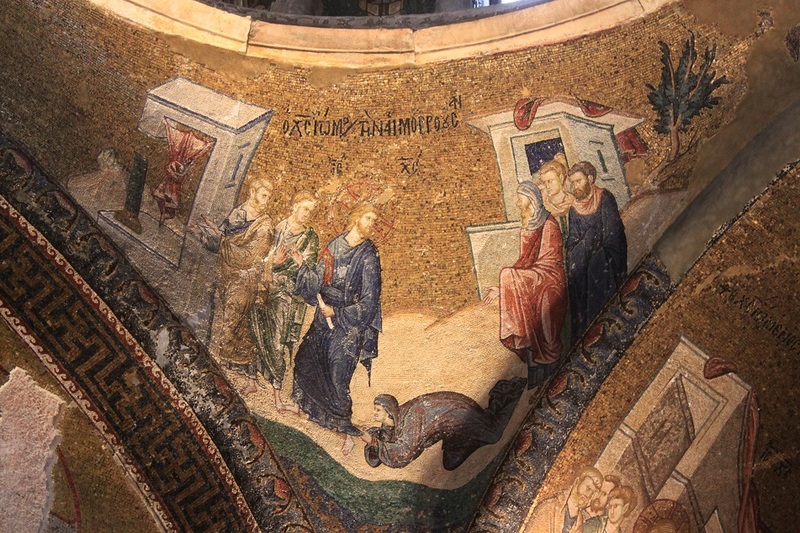 The Church of the Holy Savior in the Country or affectionately called the Chora Church – literally church in the country or fields for its location outside the old walls of Constantinople – underwent several stages of development in its history. 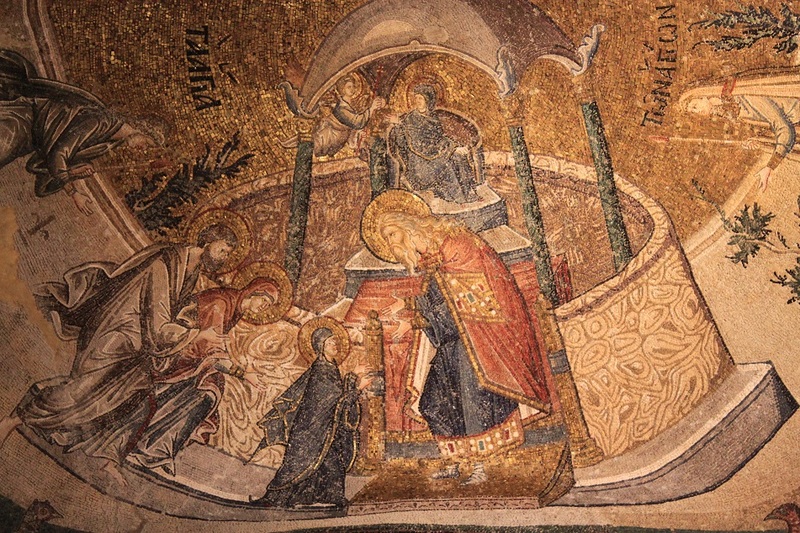 First constructed in the early 5th century, the church was expanded in the 11th and 14th century with the addition of intricate mosaics and frescoes during the latest expansion. 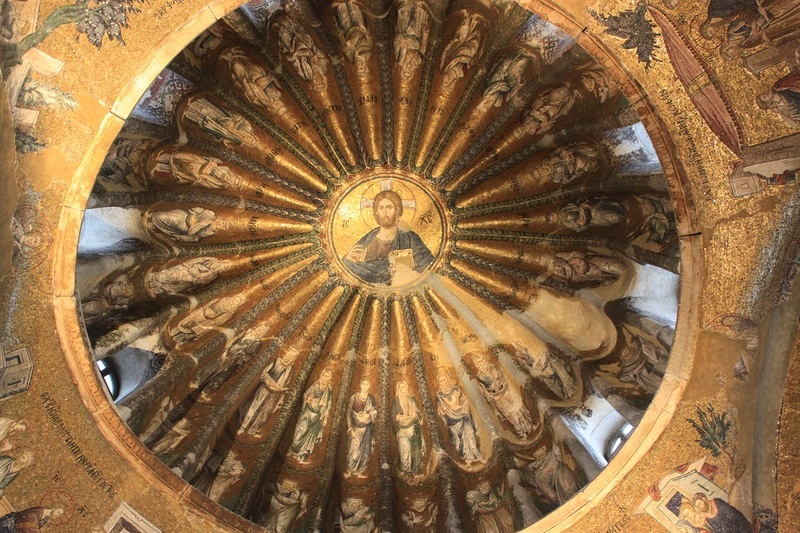 Even though quite modest in size, the Chora Church is arguably one of the most beautifully adorned Byzantine churches in Turkey. 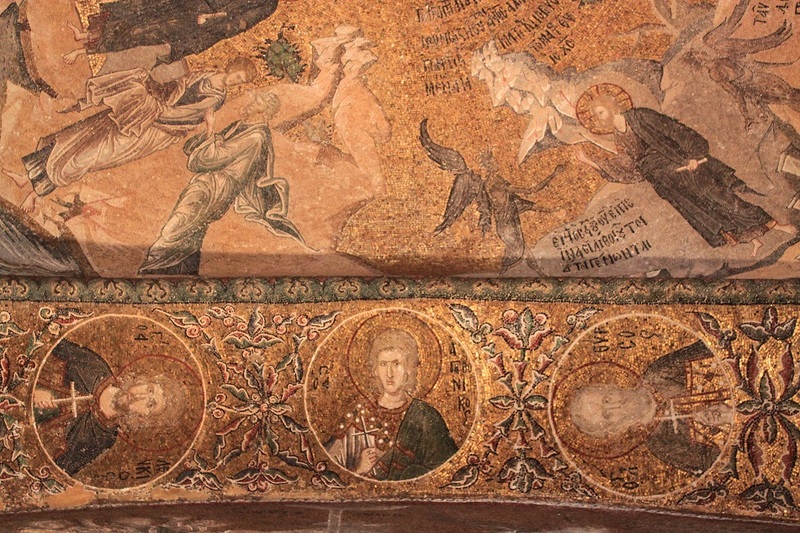 Despite the irreversible damage to some of the mosaics during Ottoman rule, fortunately most of them remain intact to this day. 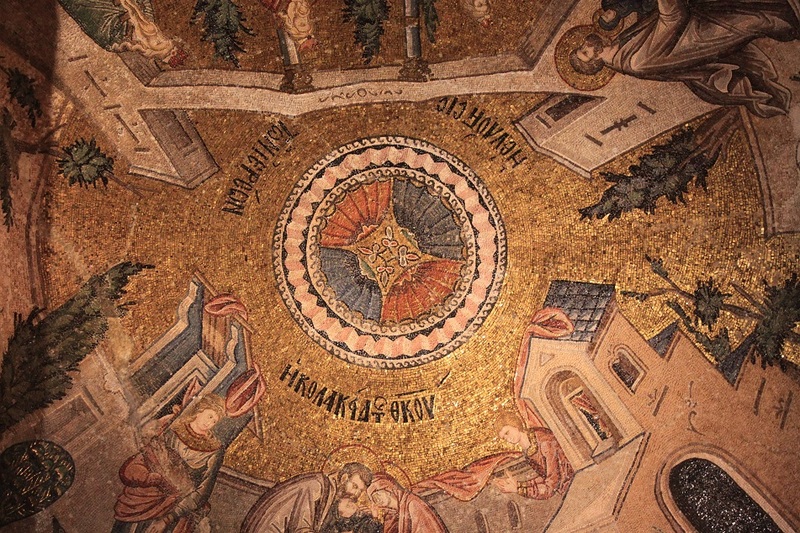 Looking up to the frescoes one can imagine how Hagia Sophia might look like during its heyday. No transaction made, only stories shared between strangers. The cold breeze eventually takes its toll – our stomachs can no longer bear the craving. It does not take too long for us to decide where to have our lunch. The kebab house across the bakery looks like the perfect place to go to seek refuge from the chill outside. Walking inside we feel an instant relief, not only because of the warmth from the iron heating plate behind the rotating split, but also the view of a big stack of sliced chicken in glazy coating from the dripping fat. It definitely looks like manna from heaven. As we predicted, this kind of place offers the most authentic and mouth-watering local dishes, including our kebabs. One of the best in town, we believe. Walking further downhill I notice something unfamiliar falling from the sky. Something I have never witnessed before. Small and subtle particles flying away, blown by the wind and fall on my jacket. I take a closer look. As foreign as the objects might seem at first but I know I have seen such thing for so many times on magazines and TV. Grain-sized objects with pointy tips in a symmetrical proportion, some look like a six-pointed star. My first ever snow flakes, in one of the most magical cities on earth. Great photos! Those pastries look delicious. I’m glad you witnessed your first snow fall or dusting — really is one of the most magical things in nature. very cool that you got to experience your first snow flakes here! It was really cool indeed, Lauren! 🙂 Seeing such magical thing firsthand was priceless. 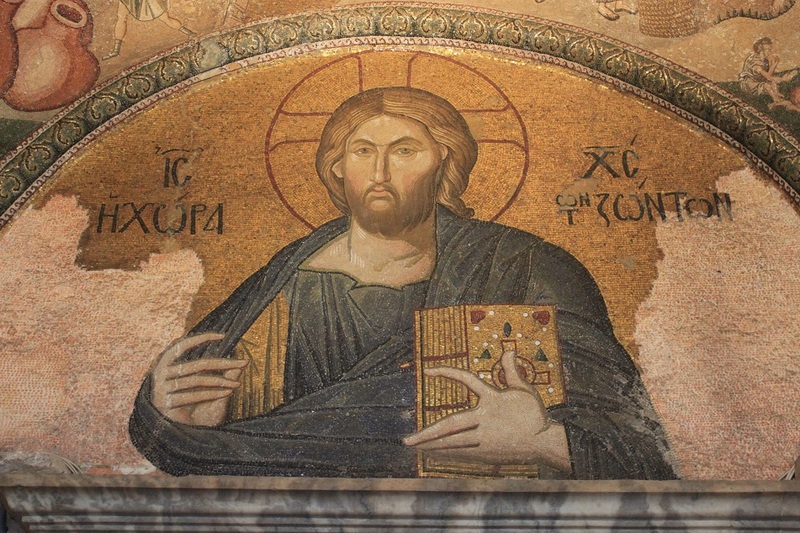 What incredible mosaics Bama, the closest I’ve ever come to seeing Byzantine artwork like this was at St Mark’s in Venice. 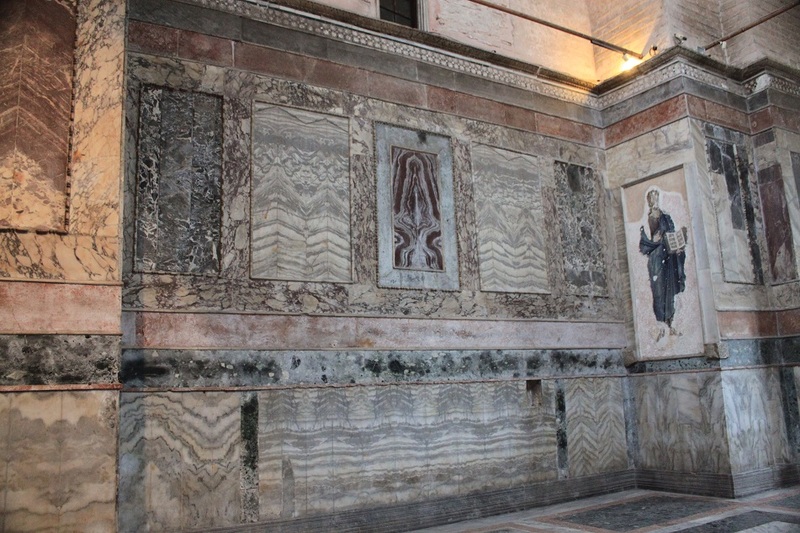 Amazing to think that they survived for centuries buried beneath plaster. Was the church at all crowded when you were there? Loved the anecdote too about the shopkeeper and the snow. I wonder how different your experience would have been if you had visited Istanbul two weeks earlier! Ah I remember when you said how you loved Venice. 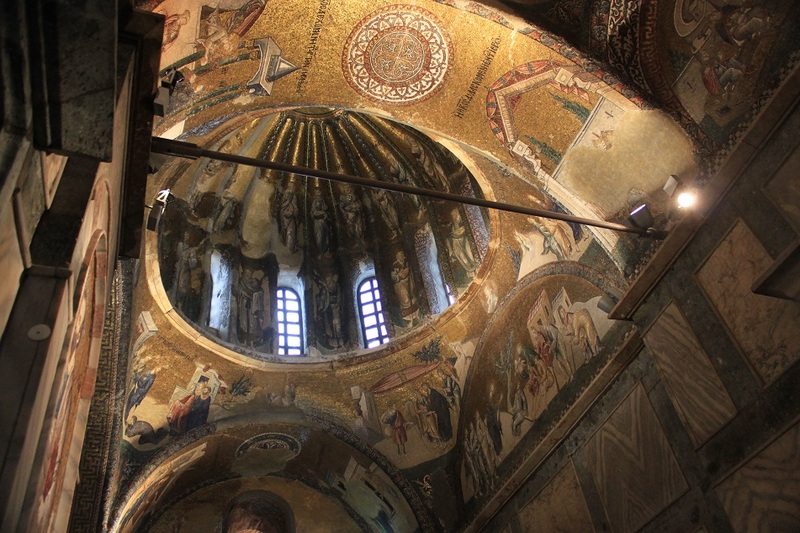 I would love to visit St Mark’s myself and see how similar the mosaics are to the ones in Chora Church. When I went there I only met two Koreans, less than five Turkish, and a few other nationals. It was really off the radar of most tourists, which is good. Beautiful stories, beautiful snowflakes! what a charmed time u r having Bama 🙂 love reading this post, almost felt transported. 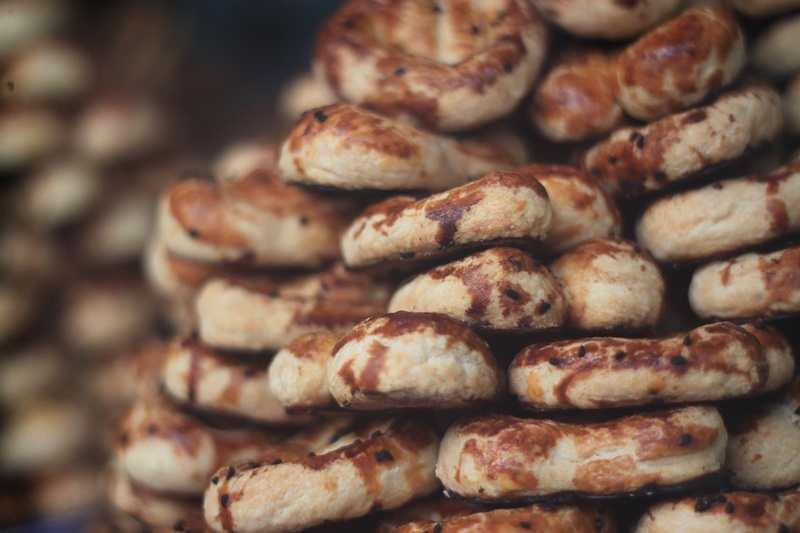 And the pastries btw look a lot like the stuff found in bakeries all over Kashmir- lot of Middle East influence there. Have u been to Kashmir? Also if u have been to the Aran middle East, and to north india, have you noticed how much we share in India with them in terms of arcitectural features, and living space design? Thanks for your lovely words. 🙂 I haven’t been to India, but it’s really high on my wish list. 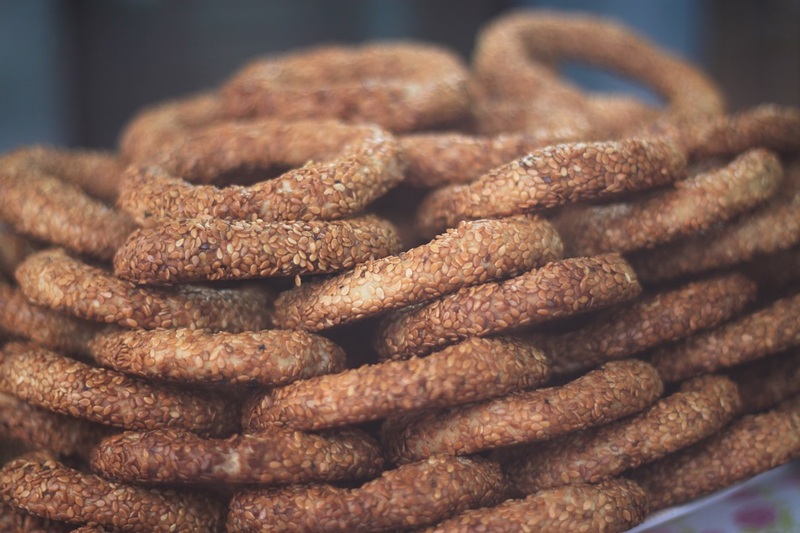 It’s not surprising to see how Middle Eastern cultures and dishes influenced local food in Turkey. After all, one of the easiest things to assimilate is food. A lot of Indonesian dishes are actually influenced by Chinese traditional food. 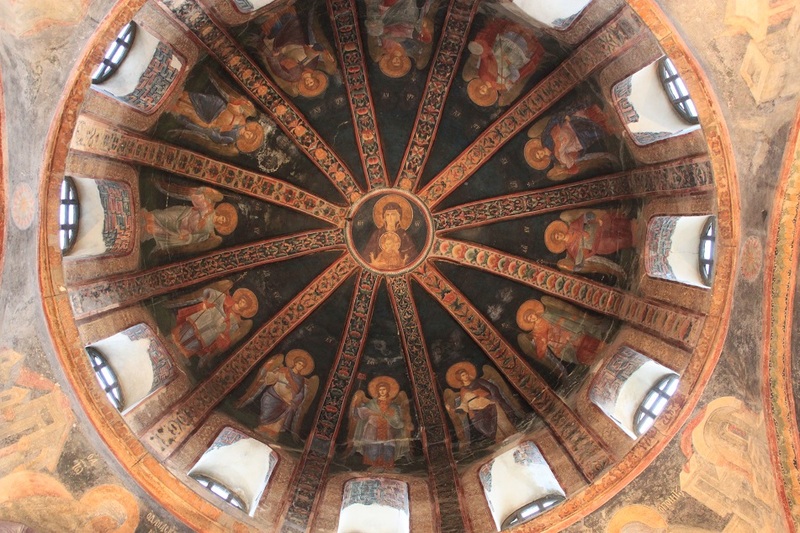 These churches and the paintings inside are magnificent works of art. And I think the pastry displays run a close second! As a person from Alaska, it’s always hard to imagine never seeing snow although I know it is true for millions of people. One time some young people from far northern Canada came to our town for an “Arctic Olympics” competition, and they had never seen a tree. They truly amazed me Marilyn, because the church/museum looked unassuming from the outside. I guess the case is the same for us in Indonesia who find it hard to imagine not seeing any single tree as we live in a tropical place. By the way in which part of Alaska do you live in? 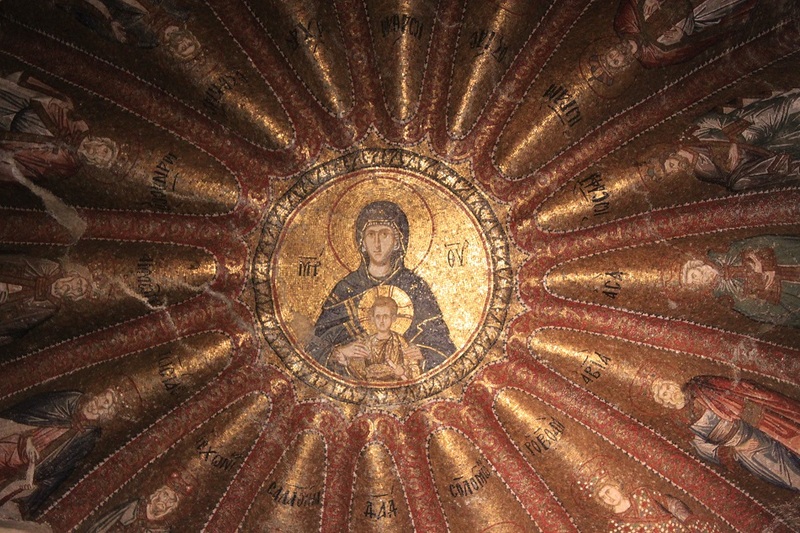 Hi Bama, I didn’t see this Byzantine church when I was in Istanbul. It looks magnificent. You did a great job capturing their details. I felt I was seeing them in person. You also captured those pastries so well. So great actually that my stomach all of sudden churns in hunger. I love your stories about your interaction with the man in the pastry shop and the women with the smartphone. We maybe in awe of the beautiful travel sights, but in the end those kind of interactions are what make the travels memorable and rewarding. Wonderful post. Thanks Marisol! I can understand why many people missed this place because for me I needed to go to the Grand Bazaar and took a bus to this neighborhood which is quite far from the city center. Oh Marisol, those pastries tasted really nice especially in such a chill day. I love the sweet ones more than the savory and somehow they made me so comfortable and brought back certain feelings of being home. And yes, seeing magnificent sights is always an amazing feeling, but interacting with warmhearted locals always gives the best memory, and lesson of life. What an amazing church! I love spending time wandering through churches while I’m traveling. Although I’m not a religious person, I love the artwork found within the holy walls. Sidenote: those pastries look to die for! I don’t consider myself as a religious person either. But there’s always something fascinating about religious places as they exude this warm and peaceful ambiance. Oh and those pastries are definitely not to be missed when you’re around the neighborhood. I get that, too: In Cambodia, they always ask me if I’m from Malaysia. Perhaps Malaysians travel more compared to their SEA neighbors. Thanks James! I’m glad you enjoyed this post. And for being mistaken as Malaysian, I think that it still makes sense compared to being mistaken as Chinese, lol. Actually my boss did. I need to learn more from him about human photography. 😉 a bilateral learning process. Life is about learning, like the journey itself. Oh, what made you change your mind? :p And where in Malaysia will you go to? Well, my friend actually changed my mind and my godmother lives in KL. So I am thinking of seeing them. Which means my trip will be to KL, Penang and Langkawi with a stop at Cameron Highlands. I still want to visit Indonesia though! Snow is a beautiful thing. I love seeing snow! Such beautiful photos! I dream that one day I’ll be travelling to places like this, less visited yet so magnificient. Thank you! A few years ago I was the one who dreamed of visiting such magnificent places. Now I’m living up my dreams. So keep on believing that one day you’ll find yourself wandering around the most magical places on earth. Unforgettable moment, witnessing my dearest ones, Bama-Dika-Sari-Irma ,enjoying their very first snow flakes. Wohoooo…. 🙂 Happy. Simply happy.